The Pioneer 3.0L Stainless Steel Airpot Vacuum Flask is constructed from stainless steel so there is no glass that could break. 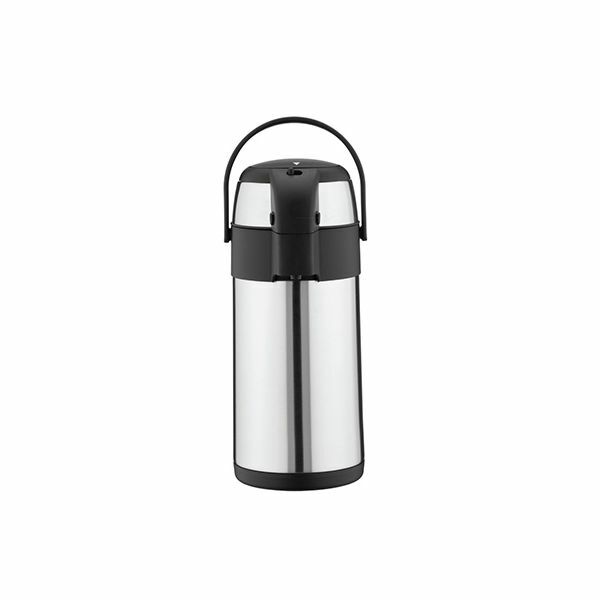 Suitable for hot and cold drinks, the flask has a large pump-action button on top which is used to dispense your beverage. Designed to keep drinks hot for up to 12 hours (will also keep cold drinks cool). Perfect for parties, picnics, in the office or when entertaining groups of people.